What happens after the Occupational Therapy Driving Assessment? 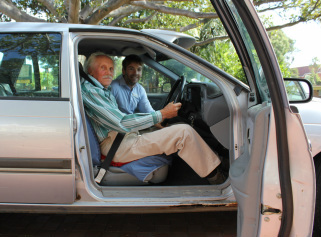 Following the assessment, the Occupational Therapist will complete an Outcome Summary Form documenting the outcome of your driving assessment with recommendations regarding your licensing status. You will receive a copy of this form immediately following your assessment. 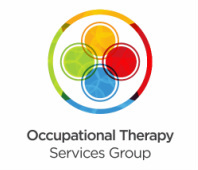 Your Occupational Therapist will then write a comprehensive report outlining the results from the clinical assessments and observations from the on road assessment, providing recommendations to yourself, your referrer, your medical practitioner, and the Department of Transport. Please allow 10-15 working days for your report to be completed. The referring medical practitioner will then review the recommendations from the Occupational Therapist. Your referring doctor is then required to complete an M107a form (Medical Certificate) and send this to the Department of Transport (this is attached to the report when it is mailed or faxed to the referring medical practitioner). Your referring doctor may make an appointment with you to discuss the outcome of the assessment. Once the Department of Transport have received the Medical Certificate from the referring medical practitioner, the Department of Transport will review the recommendations and issue a permit as determined by your Doctor and Occupational Therapist. Where you can you find out more information? What if my licence has exp﻿ired? Unfortunately, given it can take a couple of weeks for all of the key stakeholders to sign off on your licence, you may not be able to drive until receiving formal notification in the mail from the Department of Transport. Please allow, and plan for approximately 2-4 weeks following your assessment to receive formal notification from the Department of Transport (DPI). What about the Age related licence test? 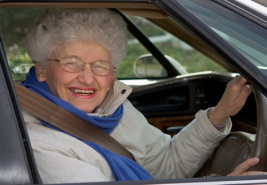 If you are aged 80 years or older, you may be requested to sit a Department of Transport Seniors Licensing Assessment. The Medical Assessment and Occupational Therapy Driving Assessment are a separate evaluations. If you have been requested to complete a Seniors Licensing Assessment, please discuss this with our service and we can help to determine the most appropriate avenue for your circumstances. What if I am a Learner driver? 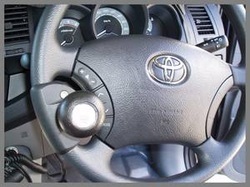 To complete the Occupational Therapy Driving Assessment you will need to obtain your learner’s permit (completed your Computerised Theory Test). You will then complete the Occupational Therapy Driving Assessment. Following the assessment, the Department of Transport will review any recommendations made by the Medical Practitioner and Occupational Therapist, and re-issue your learner’s permit. Once the Department of Transport has re-issued your permit, you are required to complete the standard Learner Driver Assessment Program (as any other Learner Driver would complete). This may include lessons, physical driving test, twenty five log book hours (before and after you practical driving assessment) and a hazard perception test. What if I have additional licence classes? Should you wish to regain any additional licence classes (Class HR, HC, MC, R etc.) you will be required to sit an additional on-road Occupational Therapy Driving Assessment in the highest class licence that you wish to hold. This can only normally be completed once you have been assessed in a standard Class C vehicle. What if I need vehicle modifications? Your Occupational Therapist may assist you with information on where your vehicle may be modified and assist you to access any available funding to help modify your vehicle. All vehicle modifications must meet the Department of Transport standards. You will also be required to sit a Department of Transport ‘Fitness to Hold’ assessment (to be licensed to drive with the appropriate vehicle modifications). Following this, the Department of Transport will issue your permit with endorsements for your required vehicle modifications.